Beef Up the Home Security! If one reads the newspapers and watches the news, one can’t help but notice how petty crime is on the rise. One of the most common offences is breaking and entering, and with many careless homeowners leaving ground floor windows open, it is easy pickings for those who are inclined to steal. A person who makes a living breaking into houses and stealing is a thief, but that doesn’t make them stupid. The average burglar will do their work in broad daylight, and generally are extremely careful, and will not make a move unless they think all is well. The first thing is to watch the target location for a while, and notice anything important such as CCTV security systems, or security alarm housings, as these mean trouble. If a home is protected by video surveillance, the burglar is not interested in seeing if the windows and doors are locked, as they will be apprehended, even if they manage to steal something. The window of opportunity is what a burglar waits for, and if they are patient enough, the chance will eventually present itself. The first hurdle is to reach the rear of the property without being seen, and this only takes a few seconds. 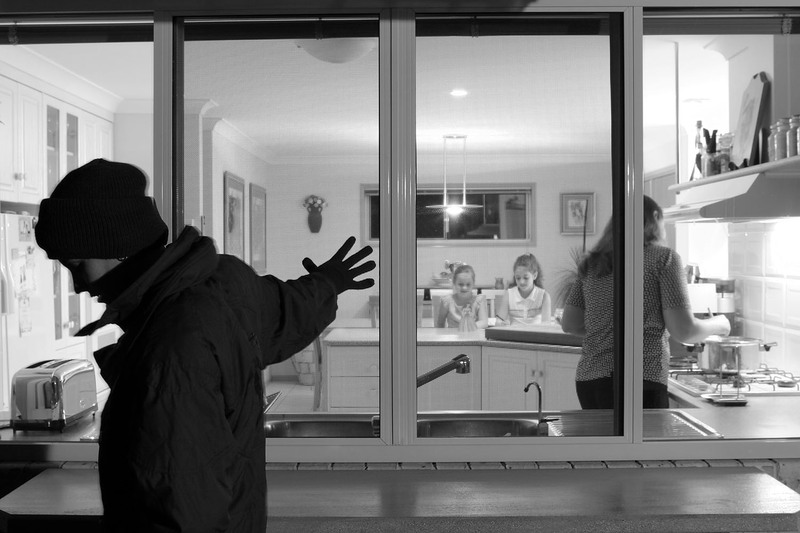 Once concealed behind the building, the burglar can usually gain access, if the windows and doors are not alarmed. The one thing that would stop them in their tracks is a CCTV camera, as this provides concrete evidence that they committed the crime. Before embarking on a home security makeover, talk to the experts first. For those who live in Western Australia, Castle Security’s CCTV security system provides state-of-the-art surveillance, and with 24/7 coverage, the home is always protected. Typically, the home security expert would recommend CCTV rather than an alarm system, as it provides the necessary deterrent, and is the most cost-effective way to protect the home against a break-in. CCTV can be customised, with as many cameras as is necessary, and of course, their location is important, and the security company would be experienced in placing the cameras for optimum visibility. The system works by sending the data to a central hard disk, which displays the camera fields in a split screen fashion on a single monitor located within the house. The hard drive is big enough to store hundreds of hours of footage, and automatically deletes old data when necessary. In order for the deterrent value to be realised, the cameras should be in prominent view, which sends a very strong message to any would-be burglar. The security company would also supply CCTV stickers which should be placed on the front gate of the residence, in clear view. Perhaps one could stick that next to the picture of a growling Rottweiler, which would also make an intruder think twice. Beefing up the home security is necessary in this day and age, and with so many unprotected homes, the burglar will not be too bothered about missing an opportunity, and will look for an easier target.